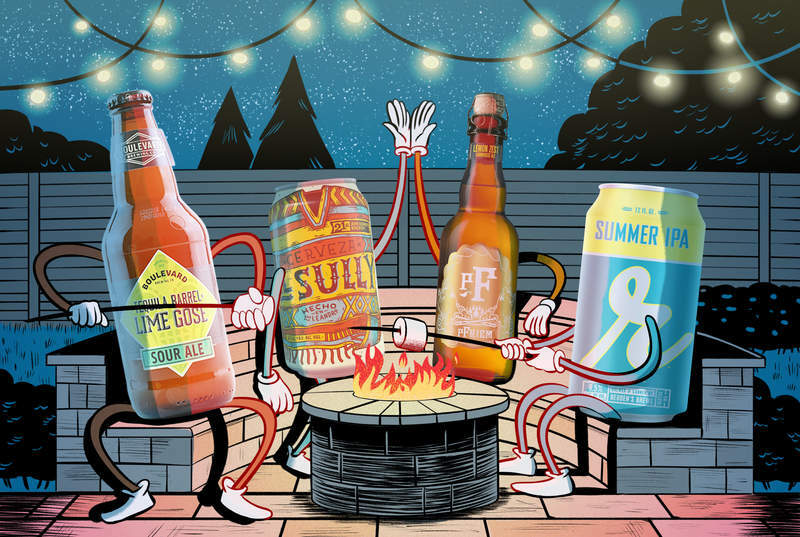 What is a summer beer? It’s the beer you pull out of a cooler during a barbecue; the beer that tastes best with an ice cream truck’s siren song in the background; and it’s definitely any beer that you drink alongside a lake, river, or ocean. They are, in short, are whatever you want them to be. Like a great summer song you keep replaying, they can come to define a whole season’s worth of memories. So choose wisely. Amid the wave of craft lagers we’ve seen hit shelves in the past couple years, I’d love to see more Czech pilsners in the mix. They’re not quite as dry as their German counterparts, and generally offer more flavor and oomph than American pilsners. St. Louis’ 2nd Shift makes one of my favorites, a Saaz hop-driven crusher that’s right in line with what I expect from the style. The herbal-spicy hops dance over smooth, cereal-like malts with just the right level of refreshing carbonation. You can’t go wrong with the hoppy offerings from Reuben’s Brews -- shout out to the single-hop Crush series, especially -- but this spring I’ve been especially digging the Summer IPA. It toes the line between IPA and session IPA with a slightly thinner body than a normal IPA and a 6.5% ABV. But it still delivers all the grapefruit and orange-zest notes I look for in a warm-weather IPA (thanks, Mosaic hops!) with a way less sticky body. If there’s such a thing as a beach IPA, this is it. What, you thought there wouldn’t be at least one dark beer on the list? You could argue that a porter isn’t a summer beer, but if I’m grilling a hefty grilled burger with a big brioche bun, this is the beer I want to drink alongside it. The new year-round offering from Left Hand is smooth, slightly nutty and not at all acrid, making it a way better grilled food pairing than most porters. It’s roasty and chocolatey like a delicious iced coffee, and the body is smooth but not heavy. This would be perfect around a campfire, too. It’ll be good news for Chicago drinkers when Middle Brow opens a brewpub later this year; for now, fans just have to keep an eye out at bottle shops for their eye-catching cans. Their Little Crush says it’s “brewed for days and nights near lakes and ponds” though even if you’re not on a boat or waterski, I think you can enjoy its peach, strawberry, and orange flavors, courtesy of El Dorado, Mosaic, and Chinook hops. At just 4.7%, it’s also a certified day-drinker, as happy alongside a brunch picnic as it is a nighttime rooftop party. 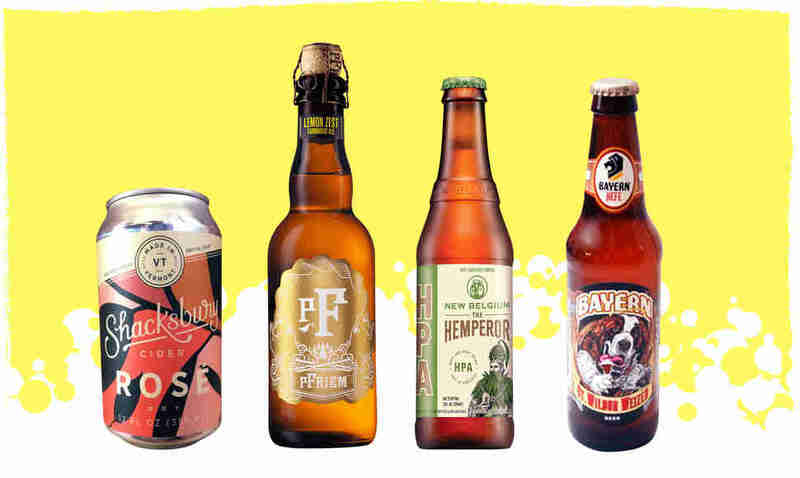 Yep, I snuck a rosé cider into this beer roundup, but hear me out: Rosé cider in general is, as the kids say, having a moment. At least half a dozen cidermakers have debuted rosé ciders in the past year, but Shacksbury stands out. The Vermont-based cidery uses wine grape skins to achieve the rose color, and those same wine skins also lend tannins to the cider. (Tannins are the compounds that you might associate with the “drying” aspect of red wines.) The result is a lightly pinkish-peach cider that’s effervescent, well structured, and much less sweet than you might expect. The addition of lemon zest kicks up the bright citrus notes already present in the base farmhouse beer, making an already refreshing summer style even more quenching. The fruit doesn’t overpower though, still allowing notes of peach, straw, and pear to mingle in the mix. This beer’s farmhouse funk is relatively restrained, with more of a rustic grain bill than a barnyard character. Lightly tart and highly drinkable, this is a summer saison destined for drinking alongside grilled seafood and salads. The first time I ordered this beer on draft, a few patrons at the bar all turned to look around the room so they could find out who’d lit a joint. That’s how pungent this hemp-laced IPA is, and it raises the bar in terms of how much sticky, resiny flavor you can pack into one beer. The beer owes that to a combination of de-shelled hemp seeds plus a dry-hop with Simcoe and experimental HBC 522. Admittedly, this isn’t a beer I’d drink five of in a sitting, but for a pure sensory experience, it’s pretty wild. Hefeweizens are a quintessential summer beer -- at least in Bavaria -- but it can be surprisingly tough to find a version brewed stateside that isn’t loaded with fruit. Bayern’s version hews about as close to authentic as you can find without booking an overseas flight: It’s unfiltered, with the telltale moussey head and hazy, orangey-yellow glow. A house hefeweizen yeast makes this wheat beer distinct from the others lining shelves; the brewmaster claims the recipe dates back to the Brauerei zum Schiff, located 60 miles southwest of Munich. All the innovation in the IPA world hasn’t rendered pale ales obsolete -- at least not where Night Shift’s concerned. This little gem of a 4.5% beer packs a ton of hop aroma and flavor into a teenie package: lemon, pineapple, kiwi are even brighter on the tongue thanks to a slightly scaled down malt bill that lets the hops do the talking. 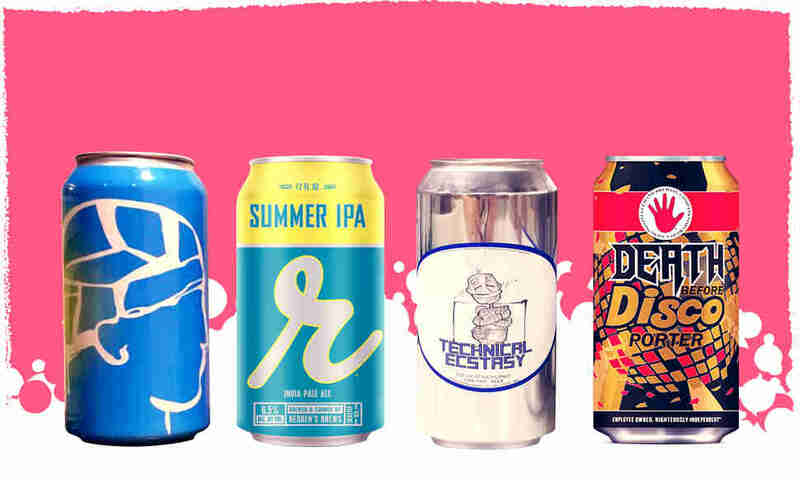 Zippy bubbles and a pared-down mouthfeel make these 16-ounce cans disappear even faster than you’d think on a hot day. It takes a deft hand not to overdo either the malt or the hops in a subtle lager style like a German helles, but Kros Strain does an admirable job with this crispy brew. At just 18 IBUs, the earthy hops contribute just a brushstroke of floral-herbal greenness before the sip finishes with a quiet touch of honeylike malt sweetness. 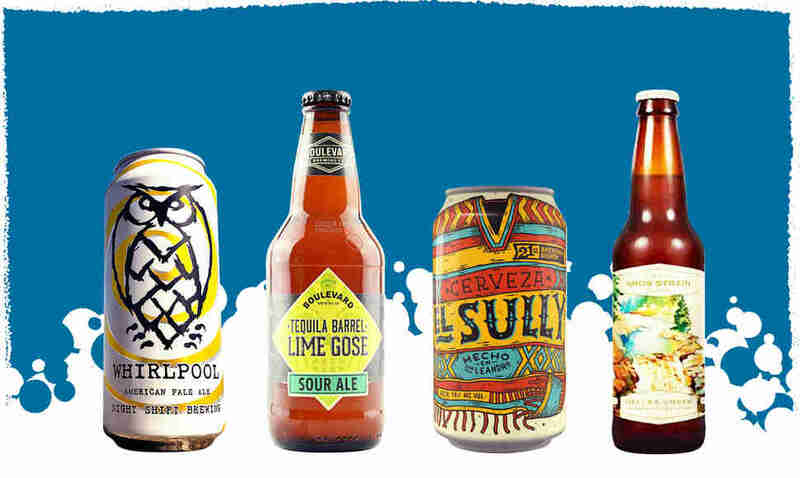 The brew is named for Hell Creek, which flows into the Papio Creek behind the La Vista, Nebraska brewery; it also provides the inspiration for the colorful bottle artwork. Mexican-style lagers are everywhere on beer shelves, from OGs like Corona and Modelo to craft breweries’ newcomers. But few are just as purely chuggable as El Sully, thanks to its pilsner and Vienna malts as well as a bit of flaked maize which gives it a kiss of sweetness. The Vienna malts lend just a touch of complexity, but they’re at a low enough level to never read as rich or doughy. Everything about this beer is engineered for summertime, from the sweet grainy-corn maltiness to the 4.8% ABV to the eye-catching can design. A summertime barrel-aged beer? That’s not an oxymoron. This ultra-zesty, sunny gose riff from Boulevard actually benefits quite a bit from the barrel’s rounded flavor, which helps smooth out the considerable lime tartness and twangy lactic punch. The tequila portion translates as earthy agave, which is a smart choice to dovetail with the base gose’s traditional coriander note. Unlike other goses whose salt level can border on “sea water,” this one keeps its salinity in check. Kate Bernot is the associate editor at The Takeout and a certified beer judge. She loves German lagers and lives in Missoula, Montana. Follow her @kbernot.